FACT CHECK: Do People with Blue Eyes Have the Highest Alcohol Tolerance? While a relationship between eye color and tolerance to alcohol may exist, the topic is far less clear than a meme suggests. 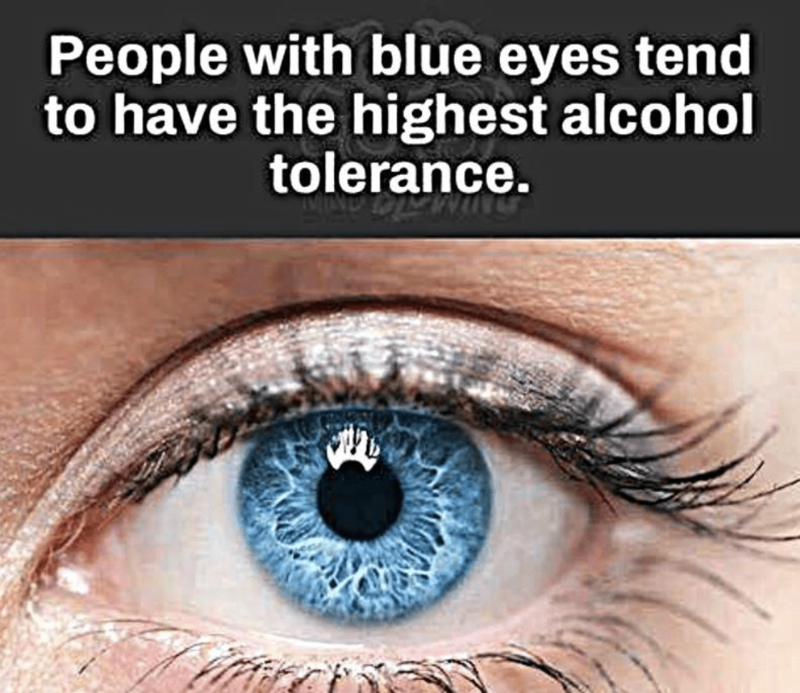 People with blue eyes have the highest tolerance for alcohol. In 1999, Morgan Worthy, a research psychologist at Georgia State University, proposed the hypothesis that light-eyed individuals might be more likely than dark-eyed individuals to develop alcohol dependence. Worthy mentioned this idea in passing, after a discussion of other physical properties correlated to “dark eyes” that hinted at relationships between eye color and human behavior or function. Eye color is determined primarily by variations in the number and particle size of just one pigment: melanin. Though other pigments may play a role, melanin is the main factor involved. More melanin results in darker eyes, “moving from blue to grey, green, hazel, brown, and black.” The amount and nature of melanin in the human iris is controlled or modified by multiple genes that serve other functions as well. That eye darkness is related to multiple genes with roles in different aspects of the human body makes finding a convincing link between eye pigmentation and human traits via genetics challenging. If dark eyes are positively related to physiological sensitivity this might be seen in a greater response to various drugs including alcohol. A greater or earlier response to alcohol might serve to decrease the amount of alcohol consumed by the steady drinker since a smaller amount would result in an equivalent effect. For that reason, persons who are most sensitive to alcohol would, perhaps, be less likely to drink enough to become physiologically addicted. The results may indicate that greater sensitivity to alcohol in dark-eyed individuals prevents them from drinking the large quantities of alcohol needed for development of physical dependence. Alternatively, greater behavioral inhibition may motivate light-eyed individuals to engage in alcohol consumption to achieve harm avoidance. Why might having blue eyes put one at higher risk for alcohol dependency than having brown eyes? One possible explanation is that a gene lying near the OCA2 gene on [human] chromosome 15 carries a mutation that leads to increased alcohol tolerance, and thus a tendency to drink too much. In this field study carried out in a French barroom, we hypothesized that the average blood alcohol concentration of participants with blue eyes would be higher than people with other eye color. 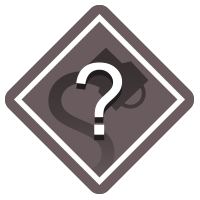 We measured blood alcohol concentration with a breathanalyzer among 61 customers from various occupational backgrounds, and calculated the association between eye color and BAC. Results showed that among males and females, irrespective of age, participants with blue eyes had a higher BAC than the others … This ecological result suggests that iris pigmentation represents a biological marker for underlying factors involved in higher alcohol consumption. Such studies remain limited in size, scope, and number, and are in some cases controversial. As a result, a more complete and confident understanding of the possible relationships between eye color and alcohol tolerance remains elusive, and the meme remains unproven. Correction [5 February 2019]: An earlier version of this story suggested no pigment besides melanin plays a role in eye color. In fact, other pigments may play a small role in affecting certain eye colors. Worthy, Morgan. Eye Color: A Key to Human and Animal Behavior. Personality and Individual Differences. 5 September 2001. Hearing Research. 19 December 2014. Am J Med Genet B Neuropsychiatr Genet.. 29 April 2015. Journal of Substance Use. 31 May 2016. Am J Med Genet B Neuropsychiatr Genet.. 29 August 2015.